A reason to switch to low-carb diet? Low-carbohydrate diet may be the best choice for helping people lower their blood pressure. In a recent study, researchers say a low-carbohydrate diet was as effective at helping people lose weight. Study found that people who were on the low-carb diet were more successful at lowering their blood pressure than those following the other diet. Scientists discovered omega-3 fatty acids appear to help reduce the rate that cells age, which further explain one of the ways these acids help the heart. Researchers found that the slower the structures at the end of their cells’ chromosomes shrank coronary heart disease patients consumed omega-3 fatty acids more often. Foods that are high in omega-3 fatty acids include mackerel, salmon, herring, and albacore tuna. A meta-analysis of 21 studies on 347,747 healthy adults suggests that dietary saturated fat is not linked to cardiovascular disease or stroke. Those who consumed the most saturated fat were not more likely to develop heart disease than their peers. More than 90% of people who’ve had a hip fracture are due to a serious vitamin D deficiency, accroding to a research done in Glasgow, Scotland. Vitamin D deficiency was linked to poor bone density and osteoporosis, and could occur in younger patients. Dr Gallacher believe that bone density can increase by 20 per cent in a few months with enough vitamin D by taking a supplement. U.S. researchers discovered that there are 10 natural compounds found in pomegranates appears to reduce the risk of estrogen-fueled breast cancer. And how do these compounds work? The chemicals block an enzyme associated with tumors called aromatase. “We identified some of these chemicals in pomegranates that actually have properties that can suppress aromatase,” researcher Shiuan Chen, of the City of Hope cancer research and treatment center in Duarte, California, said in a telephone interview. 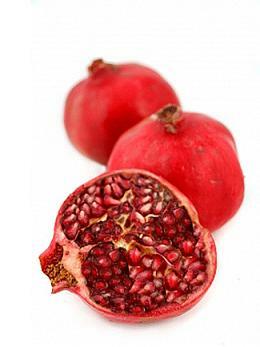 Previous research suggests that pomegranates may also be helpful in reducing the risk of heart disease and Alzheimer’s disease. Harvard University researchers who, after more than 8 years of analysing the diets of more than 30,000 people , discovered that those who ate whole grains daily weighed 2.5 pounds less than those who ate only refined-grain foods. 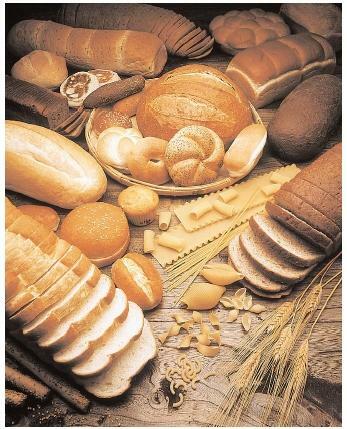 The antioxidants in whole grains help control inflammation and insulin. Thus eating whole grains won’t cause spiking in blood sugar inside our body. As extra wonder, whole grains also strengthen your heart, helping you live longer. Nuts are packed with monounsaturated fatty acids that lower your risk of heart disease and diabetes. According to researchers from Georgia Southern University, eating a high-protein nuts such as almonds increases your calorie burn. New York Presbyterian Hospital discovered that just 1 ounce of almonds boosts vitamin E levels, increasing memory and cognitive performance. Those who like to eat pistachios tend to lose 10 to 12 pounds, on average after eating them for 3 months.